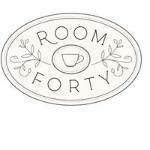 Room Forty is an afternoon tea and baking hire service. We bring everything to you to provide a beautiful and award winning afternoon tea at home or at your business. Our baking classes are also mobile. We can show you how to make our award winning breads, or put on baking classes for children's parties.